Good Safety Management is just good Management…applied to Safety. Effective managers recognize that everyone in the organization impacts safety in some manner and the key to effective safety management is getting everyone to optimize their part of the safety process. This is known as “Corporate Alignment” and any organization that is currently making a profit has figured out a way to align their resources to some degree. Two key components to corporate alignment are ensuring that the right things are getting “measured” (metrics) and Performance Planning. Integrating these things can be difficult but the benefits are worth the effort. 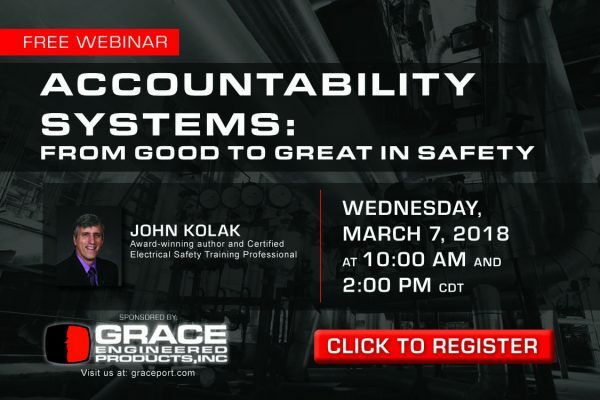 This webinar will help attendees to understand how to “measure Safety” in appropriate terms and how to hold everyone in the organization accountable (not blame them) for their part of the Safety process. · Write a Performance Planning objective for Executives, middle managers & salaried supervisors. Click the link here to register for this webinar now! If you have any questions or would like to follow up with us, you can reach Matthew Knight at 615-292-1977 EXT 105 or by email at mknight@emrassociates.com.